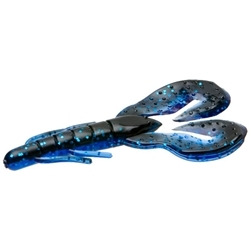 Zoom's Super Speed Craw is the perfect bait when high activity is needed to draw strikes. The extra-wide curly claws create motion in the water creating vibrations like crazy. The Super Speed Craw is great by itself or used as a trailer.